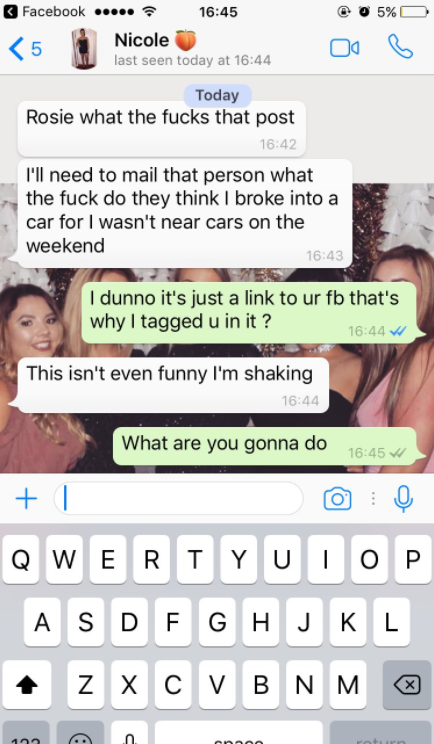 Rosié Mcnab decided to tag her friend in a classic Facebook prank. 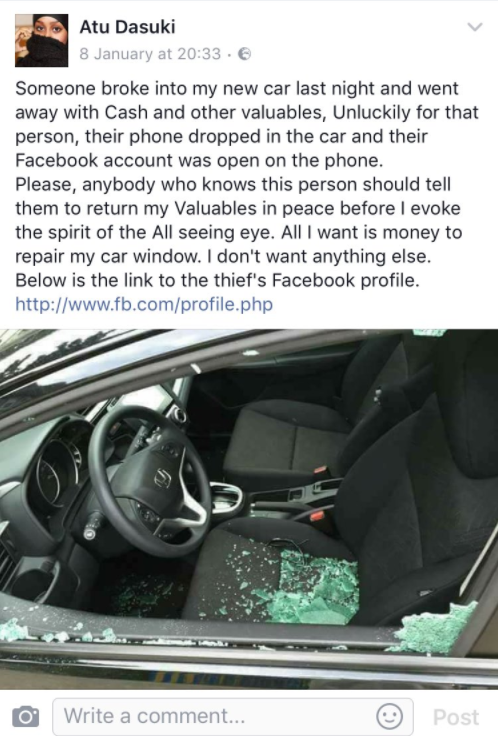 The "link to the thief's Facebook profile" is actually just a generic link that will lead you back to your own profile. Most people believe it for about 0 seconds, after they see all the other people who've been tagged in the post and their reactions. Not Nicole, though. She fell hook, line and sinker. And then, shaken up, she actually took the step of messaging Atu. 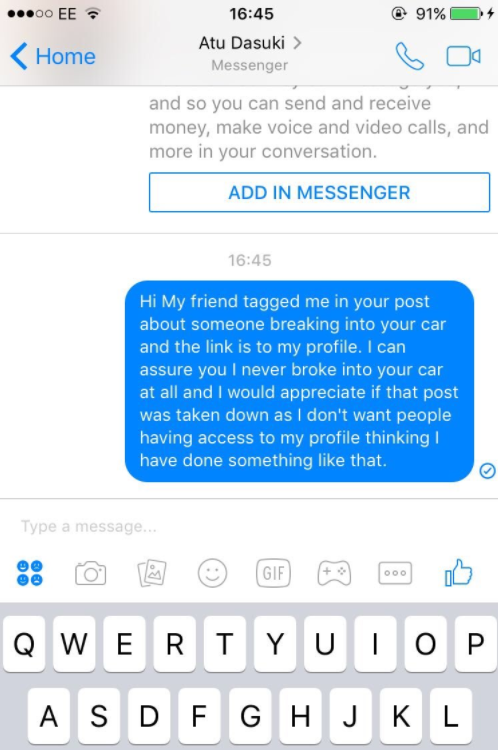 If you want to tag your friends in this prank, you can do so in the post below. Apparently she isn't the only person who's fallen for this prank spectacularly. 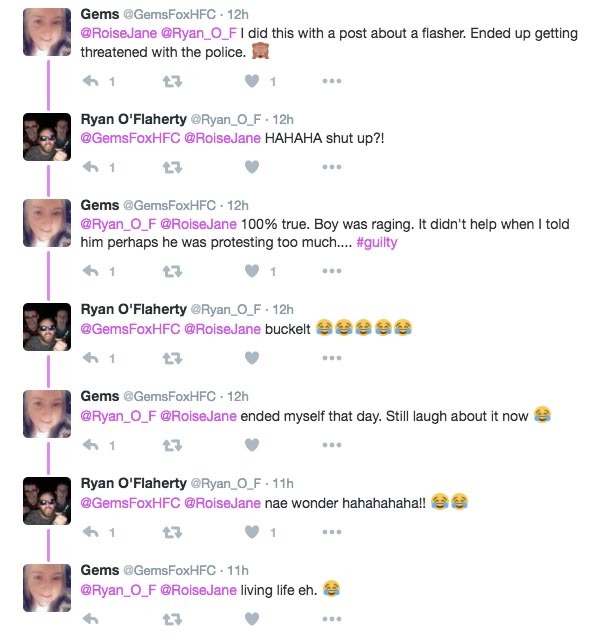 Replying to Rosie's tweets, Gemma Fox told her story about how her own version of the prank got her threatened with the police. Like this? Check out what these students found in their cellar.